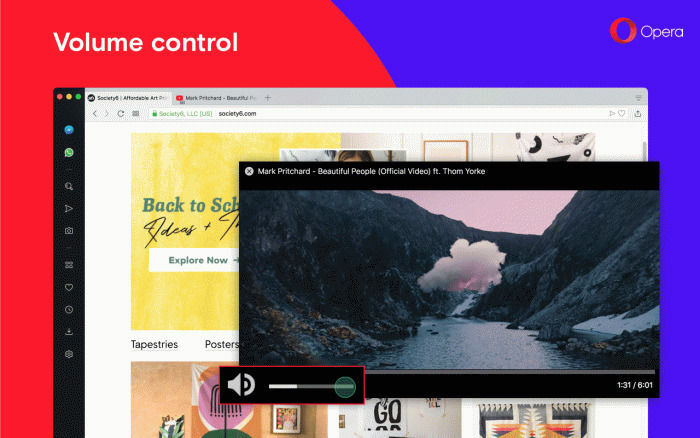 Opera web browser 56 stable was released today multitask improvements and more customizable browsing experience. Add volume control for video pop out. Hover over the title of pop out video and click back to tab. Add a page zoom indicator in the address and search bar when the zoom level for a page changed. Easy bug reporting via O menu > Help > Report an issue. Redesigned about page, and tidied up the settings.